The Johns Hopkins University, Sc.D. Constance M. Horgan, Sc.D. is a Professor at the Heller School for Social Policy and Management at Brandeis University and is the founding Director of its Institute for Behavioral Health. From 2007-2013, she served as the Associate Dean for Research. Dr. Horgan received her doctorate in health policy and management from the Johns Hopkins University. She is a national expert on the organization, financing and quality of behavioral healthcare. Her research is focused on how alcohol, drug and mental health services are financed, organized, and delivered in the public and private sectors and what approaches can be used to improve the quality and effectiveness of the delivery system. Dr. Horgan has led studies for a range of organizations, including the Agency for Healthcare Research and Quality (AHRQ), the National Institutes of Health (NIMH, NIAAA, and NIDA), the Center for Medicare and Medicaid Services (CMS), the Substance Abuse and Mental Health Administration (SAMHSA); state governments; and foundations, including Robert Wood Johnson. She currently leads the Brandeis/Harvard Center to Improve System Performance of Substance Use Disorder Treatment funded by the National Institute on Drug Abuse. She also has been instrumental in the establishment of the Opioid Policy Research Collaborative at Brandeis University. She is a member of the National Committee on Quality Assurance’s (NCQA) Behavioral Health Care Measurement Advisory Panel and the National Quality Forum’s (NQF) Behavioral Health Standing Committee. In 2017, Dr. Horgan received the Lifetime Achievement Award from the American Public Health Association’s section on Alcohol, Tobacco and Other Drugs. She also received the 2010 Anderson Award from the National Association of State Alcohol and Drug Abuse Directors (NASADAD) for distinguished contributions in the field of addiction, research, training and evaluation. 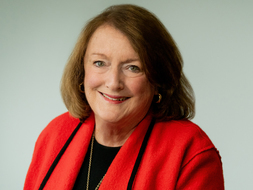 She serves as a board member for the Massachusetts Health Policy Forum, the Massachusetts Health Council, and the Greater Boston Council on Alcoholism. She is also a standing member of the National Advisory Council on Alcohol Abuse and Alcoholism. Acevedo A, Garnick DW, Dunigan R, Horgan CM, Ritter GA, Lee MT, Panas L, Campbell K, Haberlin K, Lambert-Wacey D, Leeper T, Reynolds M, Wright D.. "Performance measure and racial/ethnic disparities in the treatment of substance use disorders. Journal of Studies of Alcohol and Drugs, 76(1): 57-67. (2015) PMCID:PMC4263781." (2015). Creedon TB, Quinn AE, Liu Xiaodong, Hodgkin D, Horgan CM.. "Availability of outpatient methadone maintenance. Addiction Science & Clinical Practice, 10(Supplement 1): A8. (2015) PMCID:PMC4347610." (2015). Hodgkin D, Horgan CM, Quinn AE, Merrick EL, Stewart MT, Leslie K.. "Management of newer medications for attention-defeicit/hyperactivity disorder in commercial health plans. Clinical Therapeutics, 36(12): 2034-2046. (2014) PMCID: PMC4282778." (2015). Lee MT, Horgan CM, Garnick DW, Acevedo A, Panas L, Ritter GA, Dunigan R, Babakhanlou-Chase H, Bidorini A, Campbell K, Haberlin K, Huber A, Lambert-Wacey D, Leeper T, Reynolds M.. "A performance measure for continuity of care after detoxification: Relationship with outcomes. Journal of Substance Abuse Treatment, 47(2): 130-139. (2014) PMCID: PMC4096006." (2015). Merrick E, Hodgkin D, Horgan C, Quinn A.. "Employee assistance programs in private health plans: what do they offer? Psychiatric Services 66(3):220 (2015)." (2015). Quinn AE, Horgan CM, Brolin M, Stewart MT, Hodgkin D, Lane N.. "Delivery and payment reform in Massachusetts: Substance use disorder treatment organizations’ perspectives. Addiction Science & Clinical Practice, 10(Supplement 1): A51. (2015) PMCID:PMC43475." (2015). Rachel Sayko Adams, Mary Jo Larson, John D. Corrigan, Grant A. Ritter, Constance M. Horgan, Robert M. Bray, and Thomas V. Williams.. "Combat-acquired traumatic brain injury, posttraumatic stress disorder, and their relative associations with postdeployment binge drinking. Journal of Head Trauma Rehabilitation. 2014 October e-pub ahead of print.(2015)." (2015). Garnick DW, Horgan CM, Acevedo A, et al. "Criminal justice outcomes after engagement in outpatient substance abuse treatment." Journal of Substance Abuse Treatment Epub ahead of print (2014). Merrick EL, Hodgkin D, Horgan CM.. "Incentives to shape health behaviors: How can we make them more person-centered?." Journal of Workplace Behavioral Health 20. 1 (2014). Stewart MT, Horgan CM, Garnick DW, Ritter G, McLellan AT.. "Performance contracting and quality improvement in outpatient treatment: effects of waiting time and length of stay." Journal of Substance Abuse Treatment 44. 1 (2013): 27-33. Thomas CP, Garnick DW, Horgan CM, Miller K, Harris AH, Rosen MM. "Establishing the feasibility of measuring performance in use of addiction pharmacotherapy." Journal of Substance Abuse Treatment 45. 1 (2013): 11-18. Acevedo A, Garnick DW, Lee MT, Horgan CM, Ritter G, Panas L, Davis S, Leeper T, Moore R, Reynolds M. "Racial/ethnic differences in substance abuse treatment initiation and engagement." Journal of Ethnicity in Substance Abuse 11. 1 (2012): 1-21. Adams RS, Larson MJ, Corrigan JD, Horgan CM, Williams TV. "Frequent binge drinking after combat-acquired traumatic brain injury among active duty military personnel with a past year combat deployment." Journal of Head Trauma Rehabilitation 27. 5 (2012): 349-360. Garnick DW, Horgan CM, Acevedo A, McCorry F, Weisner. "Performance measures for substance use disorders – what research is needed?." Addiction Science and Clinical Practice 7. 1 (2012): 18. Hodgkin D, Volpe-Vartanian J, Merrick E, Horgan CM, Nierenberg AA, Frank RG, Lee S. "Customization in Prescribing for Bipolar Disorder." Health Economics 21. 6 (2012): 653-668. McLellan DL, Hodgkin D, Fagan P, Reif S, Horgan CM. "Unintended consequences of cigarette price changes for alcohol drinking behaviors across age groups: evidence from pooled cross sections." Substance Abuse Treatment, Prevention, and Policy 7. (2012): 28. Merrick EL, Hodgkin D, Horgan CM, Panas L, Soumerai S, Ritter G.. "Is Customization in antidepressant prescribing associated with acute phase treatment adherenece?." Journal of Pharmaceutical Health Services Research 3. 1 (2012): 11-16. Merrick EL, Reif S, Hiatt D, Hodgkin D, Horgan C, Ritter G. "Substance abuse treatment client experience in an employed population: results of a client survey.." Substance Abuse Treatment, Prevention and Policy 7. 1 (2012): 4. Reif S, Torres ME, Horgan CM, Merrick EL. "Characteristics of practitioners in a private managed behavioral health plan." BMC Health Services Research 28. 12 (2012): 283. Strickler GK, Reif S, Horgan CM. "The Relationship between substance abuse performance measures and mutual help group aftercare.." Alcoholism Treatment Quarterly 30. 2 (2012): 190-210. Strickler GK, Reif S, Merrick EM, Horgan CM, Hiatt D.. "Substance Abuse Treatment Preferences in an Employed Population.." Journal of Workplace Behavioral Health 27. (2012): 117-25. Daley M, Shepard DS, Tompkins CP, Dunigan R, Reif S, Perloff J, Siembab L, Horgan CM. "Randomized trial of enhanced profiling in substance abuse treatment." Administration and Mental Health and Mental Health Services Research 38. 2 (2011): 96-104. Garnick DW, Lee MT, Horgan CM, et al. "Lessons from Five States: Public Sector Use of Washington Circle Performance Measures.." Journal of Substance Abuse Treatment 40. 3 (2011): 241-254. Merrick EL, Hodgkin D, Garnick DW, Horgan CM, Panas L, Ryan M, Blow F, Saitz R. "Older adults' inpatient and emergency department utilization for ambulatory-care-sensitive conditions: Relationship with alcohol consumption." Journal of Aging and Health 23. 1 (2011): 86-111. Merrick EL, Hodgkin D, Hiatt D, Horgan CM, Greenfield SF, McCann B.. "Integrated employee assistance program/managed behavioral health plan utilization by persons with substance use disorders." Journal of Substance Abuse Treatment 40. 3 (2011): 299-306. Merrick EL, Hodgkin D, Hiatt D, Horgan CM, McCann B. "EAP Service Use in a Mananged Behavioral Health Care Organization: From the Employee Perspective." Journal of Workplace Behavioral Health 26. 2 (2011): 85-96. Reif S, Horgan CM, Garnick DW, McLellan DL.. "Systems-level smoking cessation activities by private health plans." Preventing Chronic Disease 8. 1 (2011): A14. Reif S, Ritter GA, Horgan CM. "Treatment services: Triangulation of methods when there is no gold standard." Substance Use and Misuse 46. 5 (2011): 620-632. Stewart MT, Horgan CM.. "Health Services and Financing of Treatment." Alcohol Research and Health 33. (2011): 389-394. Thomas CP, Garnick DW, Horgan CM et al. "Advancing performance measures for use of medications in substance abuse treatment." Journal of Substance Abuse Treatment 40. (2011): 35-43. Daley M, Shepard DS, Reif S, Dunigan R, Tompkins CP, Perloff J, Siembab L, Horgan CM. "Evaluation of provider profiling in the public sector." Alcoholism Treatment Quarterly 28. 4 (2010): 376-390. Hodgkin D, Merrick EL, Hiatt D, Horgan CM, McGuire TG.. "The effect of employee assistance plan benefits on use of outpatient behavioral health care." Journal of Mental Helath Policy and Economics 13. (2010): 167-174. Merrick EL, Hodgkin D, Hiatt D, Horgan CM, Azzone V, McCann B, Ritter G, Zolotusky G, McGuire TG and Reif S. "Patterns of service use in two types of managed behavioral health care plan." Psychiatric Services 61. 1 (2010): 86-89. Reif S, Horgan CM, Torres M, Merrick EL.. "Types of practitioners and outpatient visits in a private managed behavioral health plan." Psychiatric Services 61. 1 (2010): 86-89. Hodgkin D, Horgan Constance M, Garnick DW, Merrick EL, Volpe-Vartanian J. "Management of psychotropic medications in private health plans." Clinical Therapeutics 29. 2 (2007): 371-380. Hodgkin, D, Horgan, C.M., Garnick, D., Merrick, E., Volpe-Vartanian, J. "Management of Access to Branded Psychotropic Medications in Private Health Plans." Clinical Therapeutics 29. 2 (2007): 371-380. Hodgkin, D., Merrick, E., Horgan, C.M., Garnick, D., McLaughlin, T.. "Does Type of Gatekeeping Model Affect Access to Outpatient Specialty Mental Health Services?." Health Services Research 42. 1 (2007): Part I: 104-123. Horgan, C.M., Garnick, D.W., Merrick, E.L., Hoyt, A.. "Health Plan Requirements for Mental Health and Substance Use screening in Primary Care." Journal of General Internal Medicine 22. 7 (2007): 930-936. Horgan, C.M., Merrick, E., Reif, S., Stewart, M.. "Data Points: Internet-based Behavioral Health Services in Health Plans." Psychiatric Services 58. 3 (2007): 307. Horgan, Constance M,. "Internet-based behavioral health services in health plans." Psychiatric Services 50. 3 (2007): 307. Garnick, D.W., Horgan, C.M., Chalk, M.. "Performance Measures for Alcohol and Other Drug Services." Alcohol Research and Health 29. 1 (2006): 19-26. Lee, M.T., Garnick, D.W., Horgan, C.M., Cavanaugh, D.A.. "Constructing Adolescent Substance Abuse Performance Measures Using Administrative Data." Journal of Healthcare Quality 28. 3 (2006): 42-48, 59. Brolin, M., Horgan, C.M., Amaro, H., Doonan, M.. Substance Abuse Treatment in the Commonwealth of Massachusetts: Gaps, Consequences and Solutions. The Massachusetts Health Policy Forum, Schneider Institute for Health Policy, Heller School, Brandeis University. Waltham, MA: 2005. Horgan, C.M., Garnick, D.W., Institute of Medicine,. The Quality of Care for Adults with Mental and Addictive Disorders: Issues in Performance Measurement. Schneider Institute for Health Policy, Heller Graduate School, Brandeis University. Waltham, MA: 2005. Lee, M.T., Garnick, D.W., Miller, K., Horgan, C.M.. "Adolescents with Substance Abuse: Are Health Plans Missing Them?." Psychiatric Services 55. 2 (2004): 116. Lee, M.T., Reif, S., Ritter, G., Levine, H.J., Horgan, C.M.. Alcohol and Drug Services Study Phase II: Client Record Abstract Report. Schneider Institute for Health Policy, Heller School, Brandeis University, for SAMHSA. Rockville, MD: 2004. Levine, H.J., Reif, S., Lee, M.T., Ritter, G., Horgan, C.M.. Alcohol and Drug Services Study (ADSS). The National Treatment System: Outpatient Methadone Facilities. Substance Abuse and Mental Health Services Administration, Office of Applied Studies. Rockville, MD: 2004. Shepard, D.S., Beaston-Blaakman, A., Horgan, C.M.. The ADSS Cost Study: Costs of Substance Abuse Treatment in the Specialty Sector.. Substance Abuse and Mental Health Services Administration, Office of Applied Studies (Analytic Series: A-20), DHHS Publication No. SMA 03-3762. Rockville, MD: 2003. Garnick, D.W., Lee, M.T., Chalk, M., Gastfriend, D.R., Horgan, C.M., McCorry, F., McLellan, A.T., Merrick, E.L.. "Establishing the Feasibility of Performance Measures for Alcohol and Other Drugs." Journal of Substance Abuse Treatment 23. 4 (2002): 375-385. Horgan, C.M. , Lee, M.T., Reif, S. , Ritter, G. , Shepard, D.S.. Drug Abuse Treatment under Managed Care. Poster Presentation. Proc. of Abstracts, XIV International AIDS Conference, Barcelona, Spain,. 2002. Magura, S., Horgan, C.M., Mertens, J.R., Shepard, D.S.. "Effects of Managed Care on Alcohol and Other Drug (AOD) Treatment." Alcoholism-Clinical and Experimental Research 26. 3 (2002): 416-422. Ritter, G., Shepard, D.S., Beaston-Blaakman, A., Reif, S., Horgan, C.M.. Are Incentive Payments Cost-Effective in Surveying a Hard-to-interview Population: the Experience in ADSS. Proc. of 130th Annual Meeting of the American Public Health Association. 2002. Shepard, D.S., Beaston-Blaakman, A., Horgan, C.M.. Determinants of Cost of Substance Abuse Treatment. Proc. of 130th Annual Meeting of the American Public Health Association. 2002. Horgan, C.M., Merrick, E.L.. "Financing of Substance Abuse Treatment Services." Recent Developments in Alcoholism: Services Research in the Era of Managed Care. vol. 15 Ed. Galanter, M.. New York, NY: Kluwer Academic/Plenum Publishers, 2001. 229-252. Horgan, C.M., Reif, S., Ritter, G., Lee, M.T.. "Organizational and Financial Issues in the Delivery of Substance Abuse Treatment Services." Recent Developments in Alcoholism: Services Research in the Era of Managed Care. vol. 15 Ed. Galanter, M.. New York, NY: Kluwer Academic/Plenum Publishers, 2001. 9-26. Horgan, C.M., Strickler, G., Skwara, K.. Substance Abuse: The Nation's Number One Health Problem - Key Indicators for Policy - Update. Schneider Insitute for Health Policy, Heller School, Brandeis University. Waltham, MA: 2001. Huskamp, H.A., Garnick, D.W., Hanson, K.W., Horgan, C.M.. "The Impact of Withdrawals by Medicaid Managed Care Plans on Behavioral Health Services." Psychiatric Services 52. 5 (2001): 600-602. Lee, M.T., Reif, S., Ritter, G., Levine, H.J., Horgan, C.M.. "Access to Services in the Substance Abuse Treatment System: Variations by Facility Characteristics." Recent Developments in Alcoholism: Services Research in the Era of Managed Care. vol. 15 Ed. Galanter, M.. New York, NY: Kluwer Academic/Plenum Publishers, 2001. 137-156. Garnick, D.W., Hendricks, A.M., Comstock, C., Horgan, C.M.. "Do Individuals with Substance Abuse Diagnoses Incur Higher Charges than Individuals with Other Chronic Conditions?." Journal of Substance Abuse Treatment 14. 5 (1997): 457-465. Garnick, D.W., Hendricks, A.M., Drainoni, M.L., Horgan, C.M., Comstock, C.. "Private Sector Coverage of People with Dual Diagnoses." Journal of Mental Health Administration 23. 3 (1996): 317-328. Garnick, D.W., Horgan, C.M., Hendricks, A.M., Comstock, C.. "Using Health Insurance Claims Data to Analyze Substance Abuse Charges and Utilization." Medical Care Research and Review 53. 3 (1996): 350-368. Horgan, C.M.. "Need and Access to Drug-Abuse Treatment." Treating Drug Abusers Effectively. Ed. Egertson, J.A., Fox, D.M., Leshner, A.I.. Malden, MA: Blackwell Publishers, 1996. 75-98.